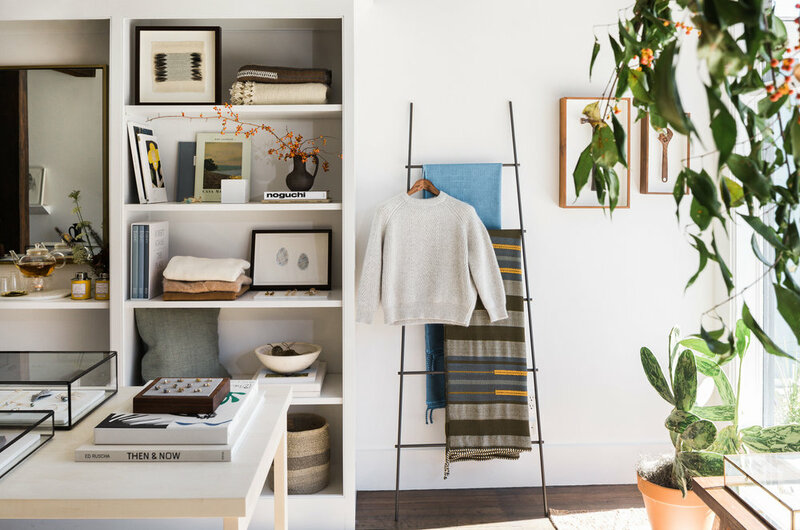 Part gallery, part concept store, part jewelry studio, tea room, and some-day-book-club. Displayed in our front gallery are works by various artists, both local and those who have inspired Mary’s work. We carry selection of photography books, hand-woven textiles, cashmere and wool sweaters, felted hats, and tea, alongside our newest jewelry collections featuring one-of- a-kind pieces. Our jewelry studio is in the back of the space, which is also open to visitors. We welcome people in to have a look around, enjoy a cup of tea, and explore.